"Take a step back from the things you see…"
When someone as influential as Facebook supremo Mark Zuckerberg says Virtual Reality is “going to change the way we live, work and communicate" you have a fair idea that we are looking at a new development that any self-respecting artist would jump at the chance to be involved with. The ever progressing world of video technology is pushing the boundaries of what we have believed possible so, given such an amazing opportunity, singer/songwriter Little Sparrow happily gathered together her band and headed to Salford's MediaCityUK for an afternoon at dock10 studios where, under the expert supervision of the specialist production team, they gave a live performance of three songs which were recorded using brand new state of the art technology. 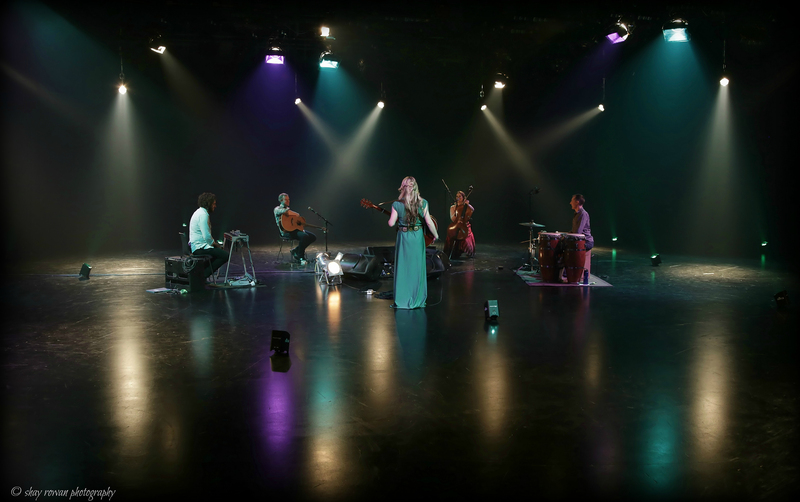 Performing in a circular layout Little Sparrow and the band were filmed using a 360° camera system that captures everything of the surroundings and allows the viewer the opportunity, on playback, to sweep around from one musician to another or from floor to ceiling of the studio space using their smart phone or laptop. A futuristic leap forward where an everyday personal media device can become a 'performance window' offering interactive involvement between viewer and artist. 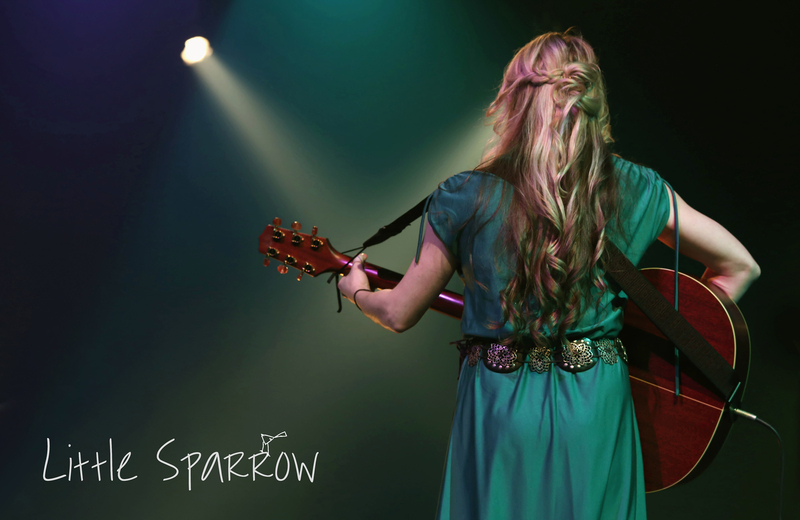 Three of her beautiful songs were recorded in 360° and the musicians involved were: Little Sparrow (Katie Ware) - Vocals & guitar, Sarah Dale - Cello & Vocals, Jonny Lexus - Guitar & Vocals, Mitch Oldham - Percussion and Jonny Booth on Pedal Steel Guitar. To experience 360° videos on a desktop/laptop open the link in Google Chrome, if you’re using a mobile device make sure you have the latest version of the YouTube app. The video will play like any other, but you can ‘pull’ the picture around with your finger on a mobile or with mouse on a desktop/laptop; on mobiles you have the additional option to look in any direction by physically moving the device; the magic window. With android phones you can also view the content through a google cardboard! (IOS coming soon). 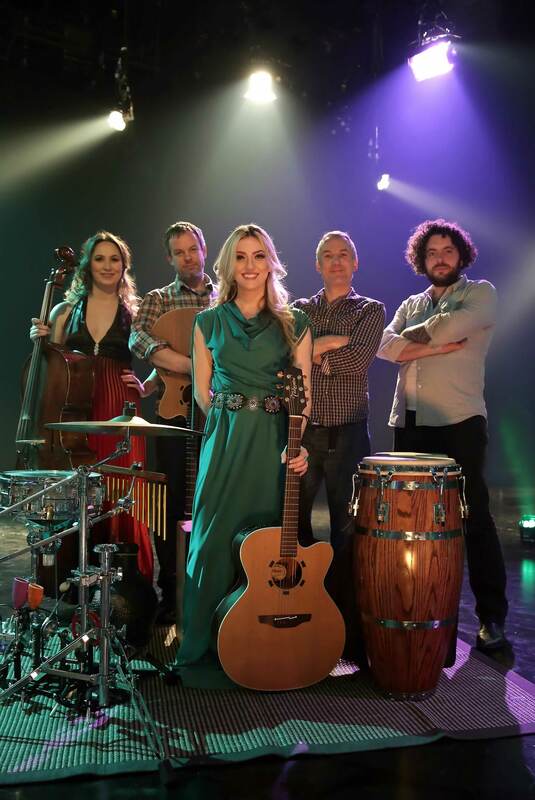 The video was shot in 4k but might default to a lower quality when first played, to view at higher resolutions on a mobile tap on the three dots on the top right of your screen and select 'Quality' and set to 1080s; On a desktop/laptop click on the ‘cog’ bottom right and set the quality to 2160p.